Will be tested at pilot scale in a relevant environment treating real urban wastewater in the long term. 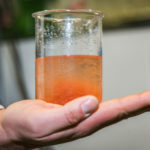 Dealing with the radical transformation of the current wastewater treatment plants from being energy consumers to be energy-sufficient or even energy-producers. Will truly offer environmental, economic and social advantages compared to the current technologies applied in urban WWTPs. Will implement a two-stage autotrophic BNR (nitritation + Anammox) in the mainstream for the first time. Will use all the organic matter entering to the WWTP for biogas production. 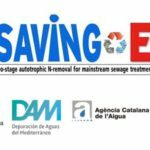 SAVING-E is a pilot project dealing with the transformation of the current wastewater treatment plants from being energy-consumers to energy-sufficient or even energy-producer facilities. With a total budget of 1.169.068, SAVING-E has a duration of 3.5 years (01/10/2015 – 31/03/2019). SAVING-E is particularly grateful to the following corporations and foundations for their support towards helping to evaluate whether is possible or not the conversion of current urban WWTPs from being net-energy consumers into self-sufficient or even net-energy producers. 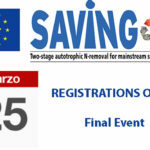 SAVING-E networking and professional development events. Stay tuned for our 2015-2019 event calendar. Don’t miss any event! Universitat Autònoma de Barcelona (UAB). One of the biggest public universities in Spain and coordinator of the SAVING-E project. Depuración Aguas del Mediterráneo (DAM). Private company focusing its services in operation and maintenance of sewage treatment plants and sanitation systems. 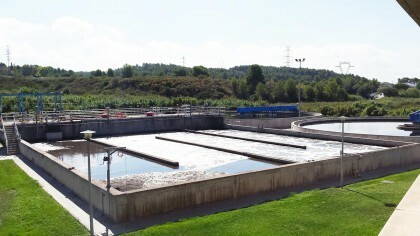 Catalan Water Agency (ACA).Public company responsible for planning and managing the complete water cycle in Catalonia.